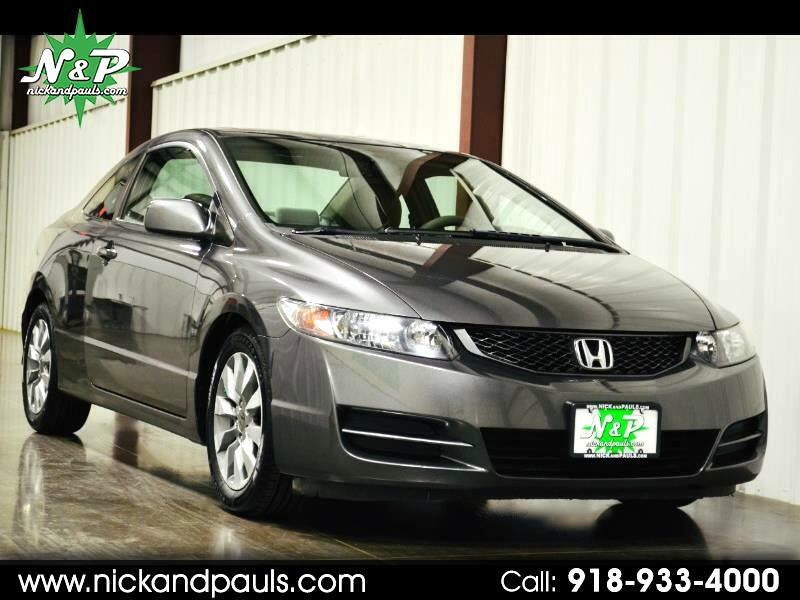 Have You Seen This Super Nice 2009 Honda Civic EX Coupe?!? It's a CARFAX 1 Owner! We Love Those! Look At The Low Miles! Now Everyone Loves Low Miles! Truth! This Is Definitely The One That You Want! For Real! Runs And Drives Perf Mugerf! Yes I Said It! Issue Free All The Way! No Lights, Leaks, Thunks, Or Clunks! No Way Jose! Ice Cold Air And 36 MPG?!? Duuhhh! Yes Please! With An Extra Clean Cloth Interior, Auxiliary Audio, A Cool Sunroof, Great Looking Alloy Wheels, And A Set Of Brand New Tires! That's Right! You're Gonna Love It! Better Hurry! These A Extremely Popular And Always Sell Fast! You Already Know It's True!